News: campaigners are calling on the UK government to protect and expand minimum housing standards for space and natural light after an RIBA report revealed the average one-bed new build is only the size of a London Underground carriage. An upcoming ministerial review could result in the government reducing or even abolishing the UK's limited housing standards, the Royal Institute of British Architects (RIBA) today warned as it ramped up its Homewise campaign for better quality homes. Kevin McCloud, presenter of Channel 4 show Grand Designs, filmed a short video on a Tube train to emphasise the cramped conditions of modern new builds and encourage the public to lobby their MPs. 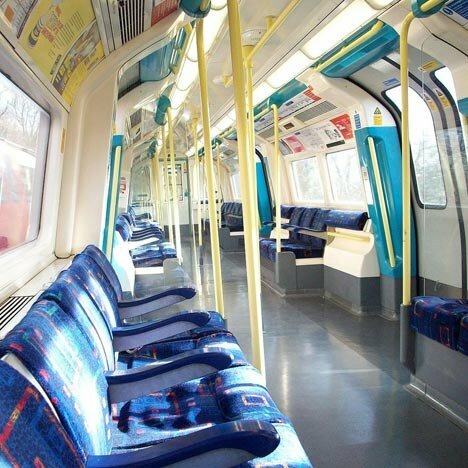 An RIBA report, The Case for Space, recently revealed that the average one-bedroom new build home in the UK is 46 square metres – the same size as a Jubilee Line train carriage on the London Underground (above) – making them the smallest in western Europe. Currently, London is the only place in the UK to have introduced legal minimum space standards for both public and private housing. Outside of the capital, minimum space standards only apply to publicly funded social housing. "The country is in the grip of the worst housing crisis in decades," said RIBA president Angela Brady. "In their rush to build the government must avoid the temptation to reduce current standards and give the go-ahead for builders to produce another generation of poor quality homes, without adequate space and natural light." Campbell Robb, chief executive of homelessness charity Shelter, said: "Britain is one of the only countries in western Europe without space standards for house building, so it's no wonder our new homes are the some of the smallest in the continent." British architect Terry Farrell was recently chosen to lead an independent review of the UK's architecture policy, while earlier this year fellow architect Richard Rogers called on architects, planners and developers to redevelop brownfield sites and empty offices to help solve the UK's housing crisis. Photograph is by Andy Wilkes.